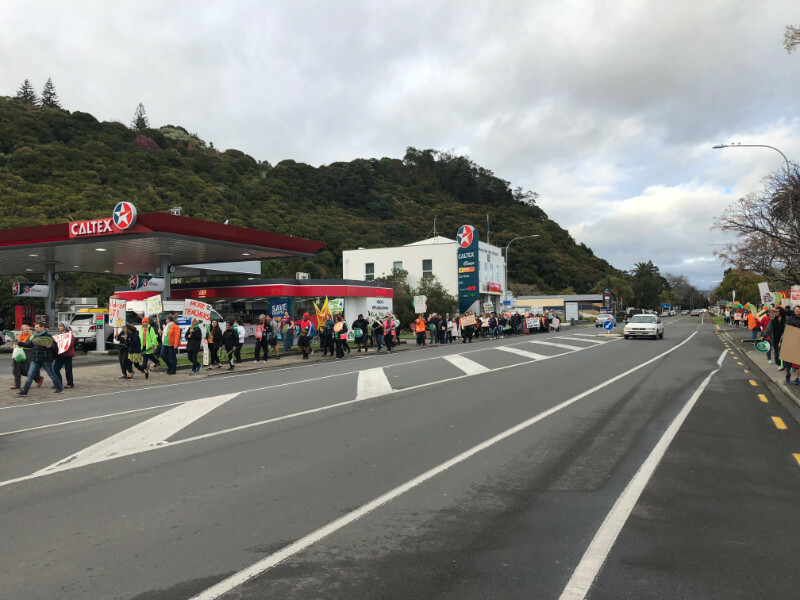 Teachers rallying in Whakatane this morning. Photos: Sam Gardner. 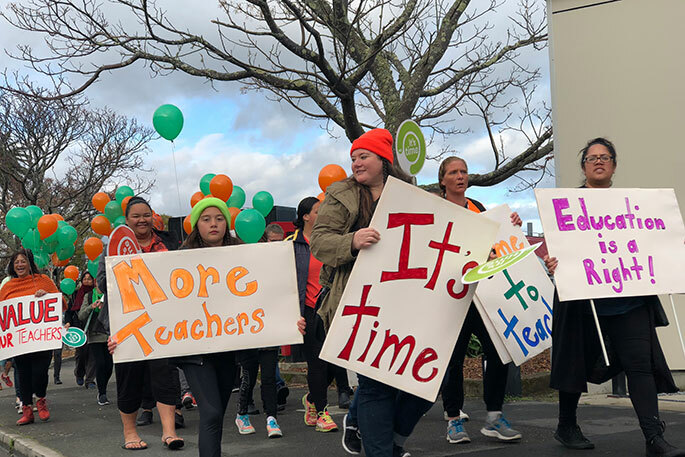 Bay of Plenty teachers are joining thousands of others in full-day strike action around New Zealand. 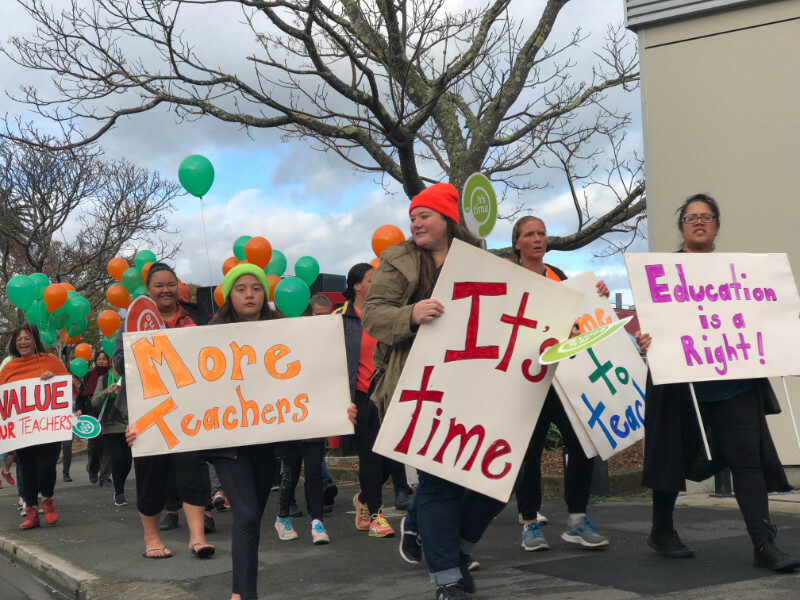 Teachers in Whakatane met at 7.30am at the Whakatane Soccer Club on Rex Morpeth Park to host a public rally. 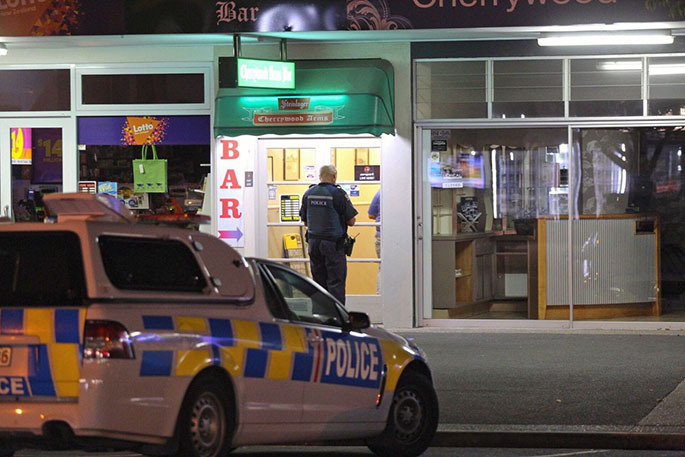 Check out the photos in the slideshow above. 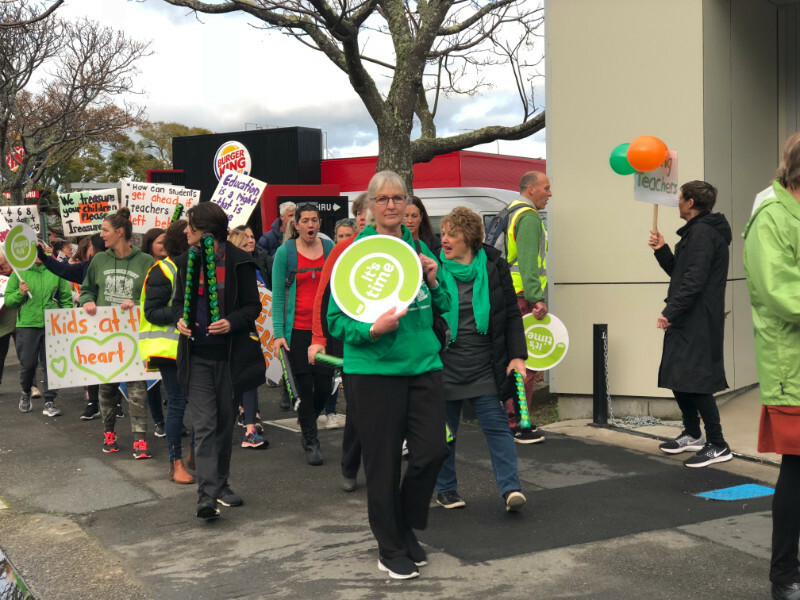 Teachers will march from the park to the Whakatane Library in the CBD. 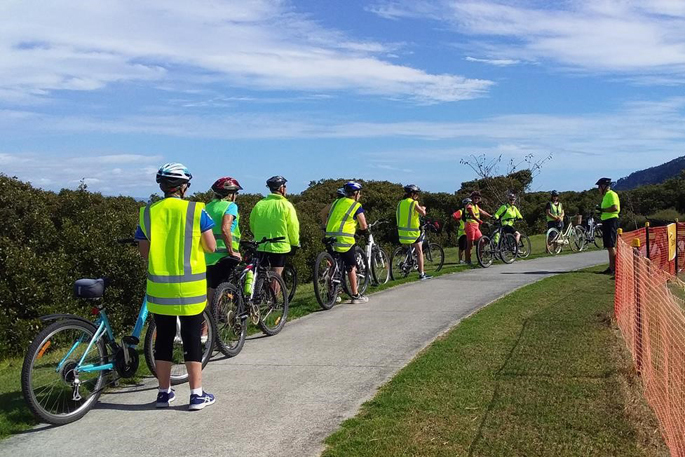 The rally runs from 7.30am-9.30am. 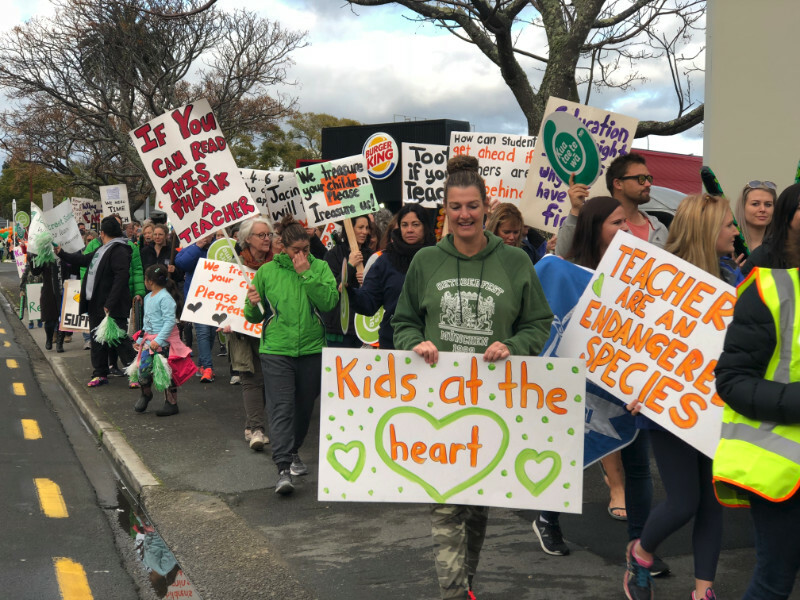 Tauranga and Te Puke based teachers will meet at Coronation Park at 10.30am, where they will march through Mount Shopping Centre to Mount Drury. 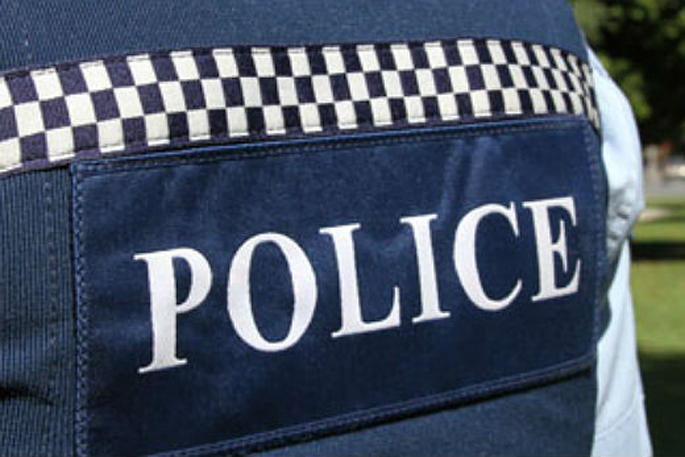 The rally is being hosted from 10.30am until 1pm. Why are teachers and principals striking? Negotiation of the collective agreements for primary and intermediate teachers and principals has stalled. The Education Ministry and the Educational Institute have tried mediation to break the deadlock, but without success. 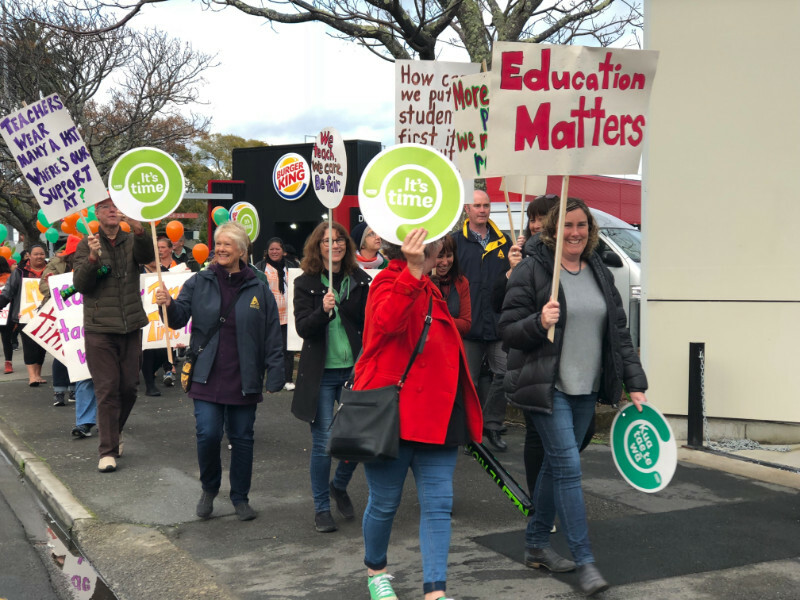 The union entered negotiations with a claim that included a 16 percent pay rise over two years for primary school teachers, special education coordinators in every school, and smaller class sizes. The ministry offered increases ranging from 14 per cent over three years for new teachers through to six percent for experienced teachers. 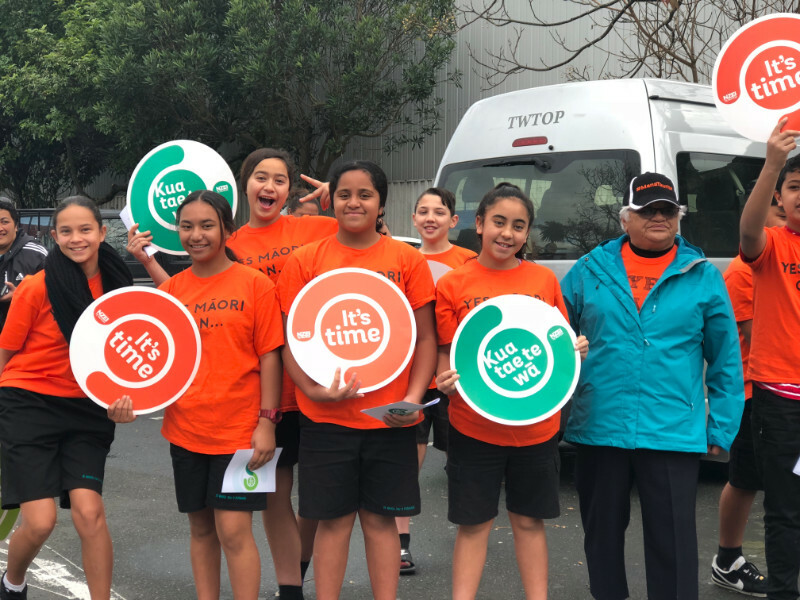 The ministry's offer would raise beginning teachers' pay from $47,980 to $55,030 over three years, while the salaries of the the most experienced teachers would increase from $75,949 to $80,599. Give the teachers the pay and conditions with the protection of the law.Cut our MPs down to below 100 and reduce their pay to be on parity with teachers.